Other Czechoslovakian producers There are 2 products. Price per piece. 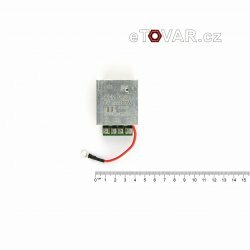 Regulator AEV 0429 is designed for 6V wiring with voltage up to 100W. Grounded on the minus pole. It has no voltage protection! Price per piece. Regulator AEV 0430 is designed for 6V wiring with voltage up to 100W. Grounded on the plus pole. It has no voltage protection!